First is the Nuxe (I know! 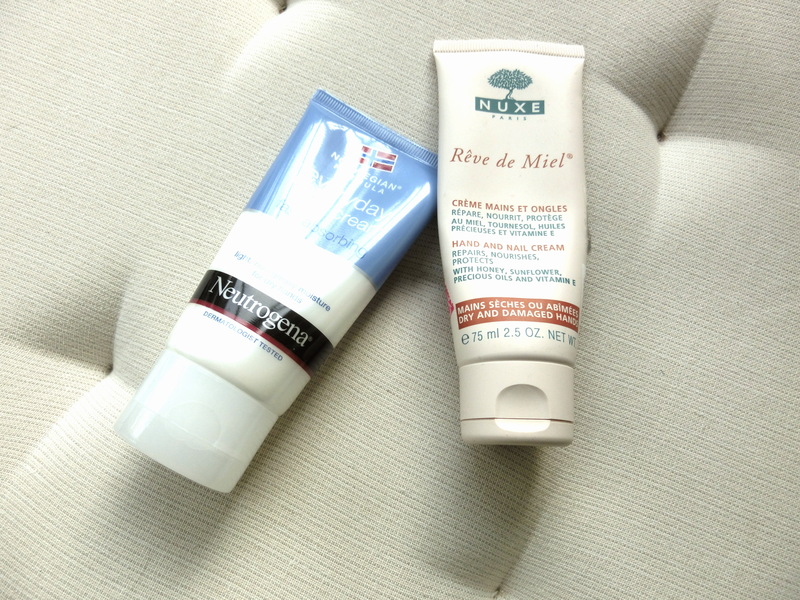 Nuxe again…) Rêve de miel hand and nail cream. This hand cream is made of honey! Honey are known for its soothing, moisturizing and anti-aging / anti-oxidant properties. So to keep our hands looking youthful, young and soft, honey hand cream is definitely a good choice! It has a very natural honey smell to it, easy to spread and absorb by the skin and it’s not greasy at all after you apply it. Since I am blogging and work mostly with my computer I cannot stand hand creams that would make my keyboard greasy! I do have a keyboard protector but it doesn’t allow me to type fast when I have the protector on, that’s the annoying part. I have also another more budget hand cream that I’d like to share with you, which is the Neutrogena fast absorbing hand cream! It is also under the Norwegian formula but it’s not as thick as the original one. This one is definitely fast absorbing as the name suggested and budget friendly! It holds up even after you wash your hands! It contains silicone in it and good amount of emollients so that it does a good job in keeping dryness at bay and locks in moisture! I tried the original formula before of course, but I prefer this one. This one is good to use anytime during day time when you have to touch things constantly, or type. For me, the original is only good to apply before bed when I am not going to touch anything afterwards, otherwise it is too greasy and thick.